Questions about Fresca Platinum FPVN7564-WH-BL-WH? A seamless blend of traditional Italian style with a 21st century twist, the Giocco bathroom vanity is a true indication of contemporary taste. It only takes a brief glance at this inspired furnishing to realize it's the perfect addition to any home. For starters, the Napoli mirror features a clean white finish along with convenient LED lighting, sandblasting, a touch switch as well as a fog free system that makes getting ready in a hurry a snap. The countertop is designed in the Poeme style and features optical glass as well as a built-in sink. 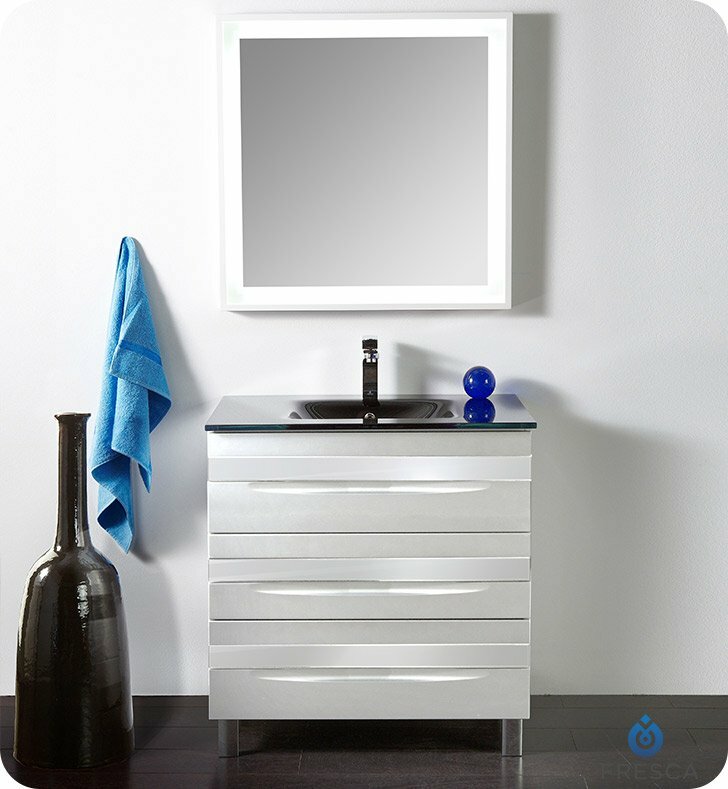 Underneath, the floor-mounted cabinet offers red MDF construction with a white coloring that perfectly complements the overhead mirror. 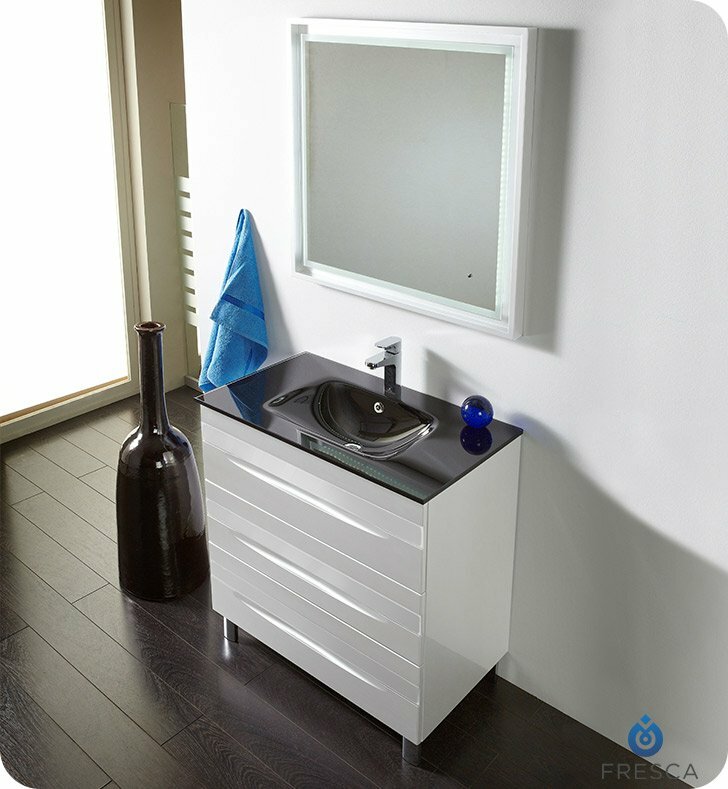 As a finishing touch, you'll love the classic appeal of glass handles and chrome-plated zamac legs, which make the Giocco bathroom vanity an ideal piece for anyone looking to spruce up the most important room in the home. Many colors and configurations are available. Please call for more info. 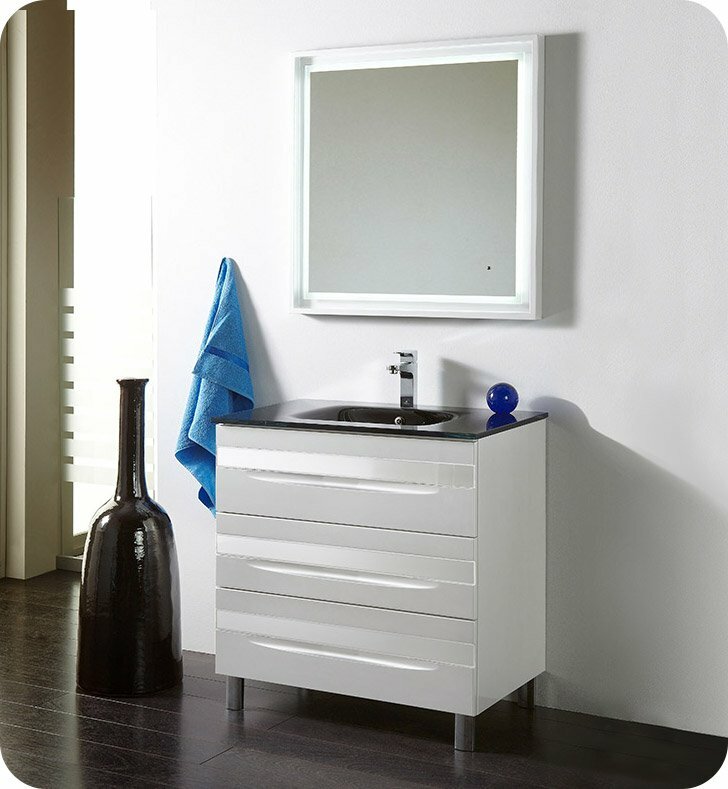 Vanity: W 32" x D 19" x H 32"
Mirror: H 31 1/2" x W 31 1/2" x D 2"